I found this sign in front of my house. Even if it is a joke, it ain't funny. Ain't funny at all. 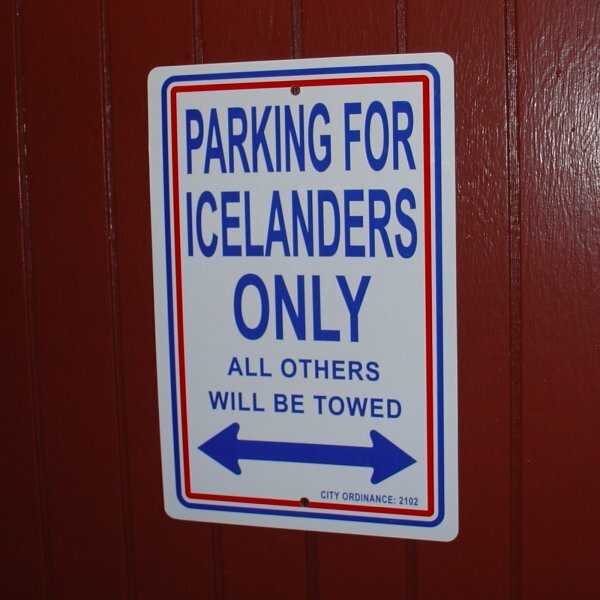 This shop (http://www.icelandicstore.com/mainhomepage.htm) sells the sign for $10. It is a joke after all. Still not funny. pri tova "city ordinance 2102"
It is probably not legal. Dunno. The sign is gone. They removed it today early in the morning. I'm not sure if the removal involved one of my Polish neighbors and the police or not. This aint funny at all. Unfortunately you can find idiots here in Iceland as most other places in the world. I'm actually pretty sure this is illegal, especially in the context you describe.